Approximately 9 species in Santa Cruz County. Gymnopus is a relatively difficult genus to recognize, since there is a wide range of morphology, coloration and habitat preference in the genus. Fruitbodies of species in this genus are relatively small, have attached gills, lack a veil, and produce white spore deposits. 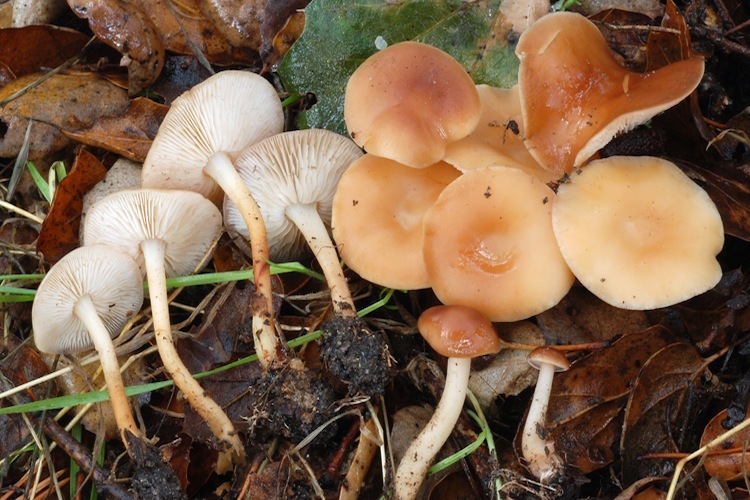 All known species are saprobic, occuring both in lawns and on woodchips in urban areas, as well as in humus and needle or leaf litter in woodland settings. Relatively few species in this genus occur in our area, but identification is subtle. 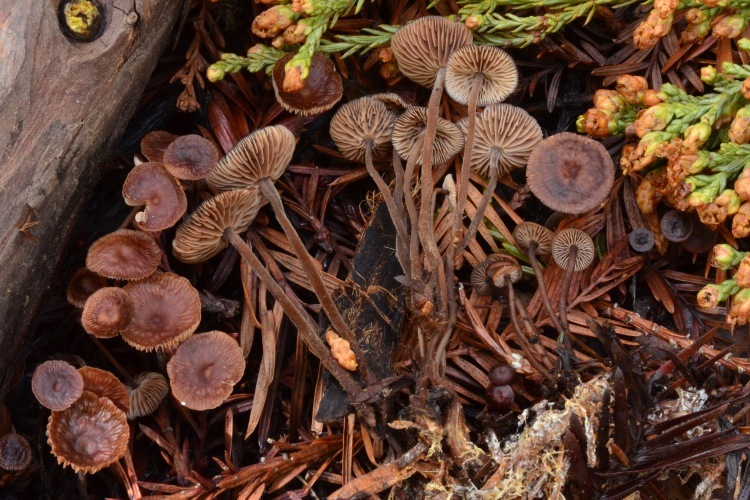 The Gymnopoid/Marasmius clade has been researched extensively by Dr. Dennis Desjardin at SFSU, so there is a local resource for western species. 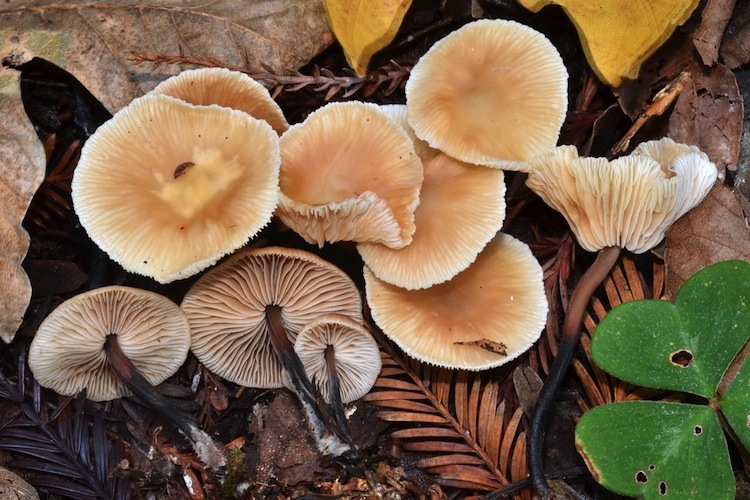 Important identification characters include overall stature and coloration, habitat, and especially microscopic features (spore size and shape, pileipellis structure, etc. ).